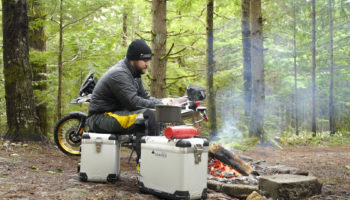 Today, Touratech releases a video like no other in the adventure motorcycle market. The Zega Mundo video happens in less than two minutes, mixing a driving beat, twisting roads, mud, gravel, rushing water, epic backdrops and two adventure motorcycles roaring through the woods… and the soundtrack is performed entirely on Touratech Zega Mundo Panniers. Shot in multiple locations around the Pacific Northwest by action-sports filmmaker Kevin Philbin and featuring the unrelenting beats of an enigmatic Seattle drummer going simply by the name ‘Webb’, the Zega Mundo video illustrates the energy and artistic symmetry that can take place between music and motorcycles. The producers built a drum kit with several sizes of Zega Mundo Panniers using stands to place the boxes at different angles, creating a range of tones. 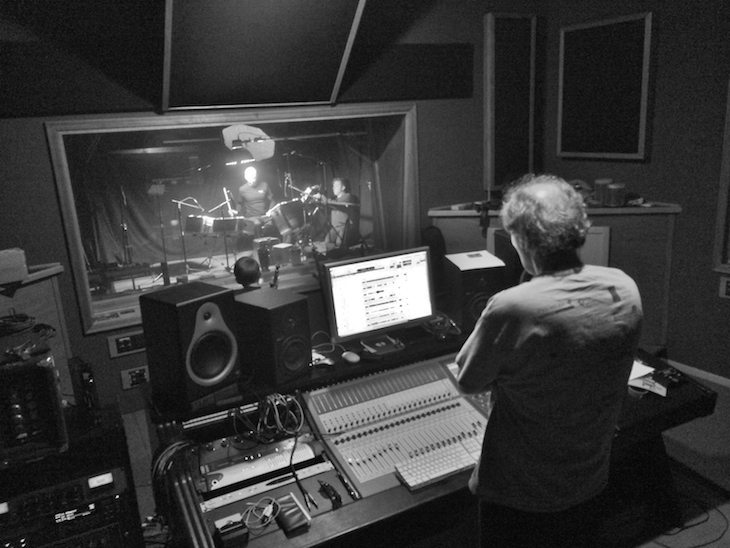 At Elliott Bay Recording Studios, sound engineer Scott Ross ran the soundboard as Webb put the one-of-a-kind drum kit through its paces. The result is a sound never before heard. Shooting locations for the adventure riding segments include Orcas Island, Anacortes, Walker Valley and Snoqualmie Pass in Washington State. The riders are Touratech’s CEO, Paul Guillien and Chief Riding Officer, Iain Glynn. The Zega Mundo video seems to capture a bit of the energy and excitement that is fueling the explosive growth in the adventure motorcycle scene. It also showcases a new pannier system that ADV riders will be intrigued by for its simple, rugged and waterproof design. Zega Mundo: Your Boxes. Your Beat.